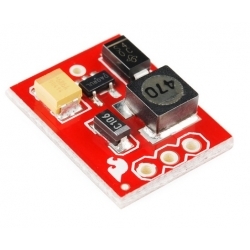 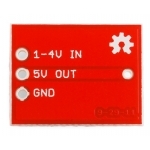 The NCP1402 is a 5V DC-DC converter. The breakout board will accept voltage inputs between 1 and 4 Volts and output a constant, low ripple 5V output capable of sourcing up to 200 mA. 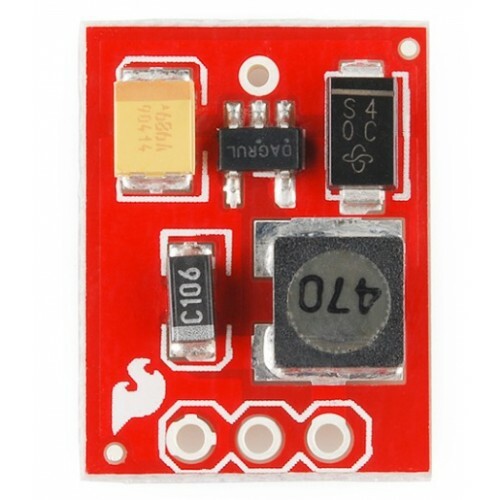 This board is great for supplying power to 5V sensors on a 3.3V board, or providing 5V from a AA battery.